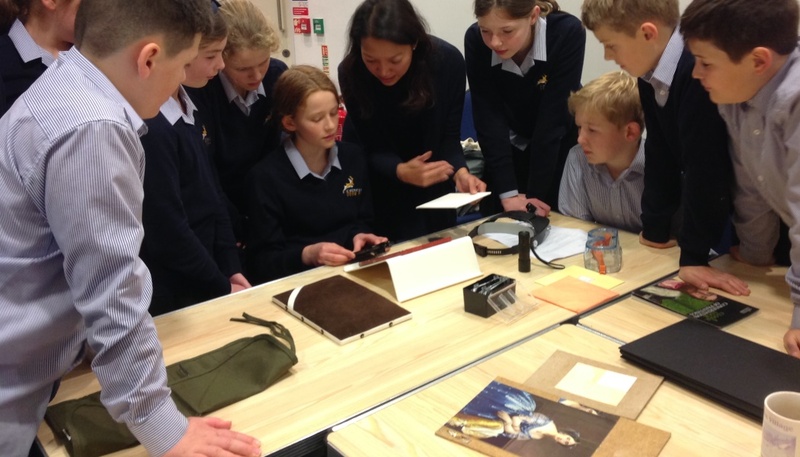 Our Takeover Day session provided pupils from year 7 with training in conservation and asked them to create a condition report to accompany objects in our collection. The day was led by James Harris and Zuraida Akma who both have backgrounds in object conservation. 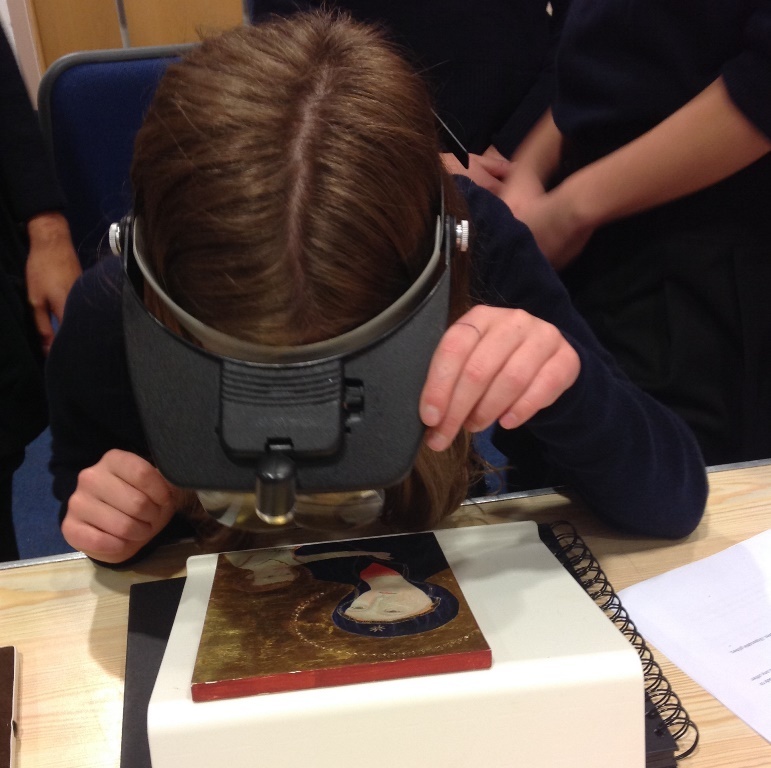 The day allowed pupils to see how science can be applied in a ‘live’ situation, conservation as a career and how important the science subjects are for museums who are responsible for preserving ancient artefacts for posterity. We asked some of the group to share their experiences and what they felt they had enjoyed during their museum take over. For Takeover Day I have been looking at pictures and where they are damaged. We also looked at a picture with a lens and in ultra violet light. We also observed objects and where they had been broken. We had to write a condition report and draw our object. The object I looked at was the head of Minerva which was made of limestone. Its face had broken parts on it like its eye and its mouth. I liked all of it as you got to experience what it would belike to work in a museum! I like seeing broken pictures fixed and I learnt how long it would take to fix a painting. We have been examining objects and saying what we could do to stop rust (like using a silica gel) Also, we examined a painting (iron painting). One of our guides Zuraida, painted one which took 6-months! I looked also at a plough-coulter which was very rusted. It was old and flaky. In the Roman times this object would have been shiny and straight but now (about 2000 years later) it is bent and practically falling apart. My favourite part of the visit is when we had a close up on rust, scratches and dents in objects/paintings. Sometimes it would be disgusting to look at but in the end, it’s really fascinating and doesn’t look like what you would expect. I leant that rust can also be called corrosion as a more scientific term. I also learnt that you could use egg yolk to make the strongest paint yet. I learnt that oxygen is the main thing that makes objects rust. Today I have been observing historical artefacts. While observing them I have identified where it has started to rust and decay. I have also learnt about how to repair damaged canvasses and how to use paint layers when restoring artefacts. I looked at a repaired painting. There are many different layers that build up to make a restored painting. I also look at a plough-coulter that was covered in rust. There was also a lot of corrosion. My favourite part was when we looked at the different layers of a canvas painting. I also looked at a brush made out of a squirrel. Today I learnt about many different things and also how corrosion happens and how you can store different items in silica gel and airtight containers. I have been looking at objects to see if they were damaged in places with a 200mm lens. Also I have been looking at photos of restored objects and how much time it actually takes to conserve them for time. The thing that protects them is silica gel. I looked at a plough-coulter which is rusty in a lot of places and I don’t think has been well looked after. It looks as if it has not been conserved for the future and won’t last much more. We looked at the painting and objects that were replaced with bits when they are rusty and broken. It was so fun listening. I learnt that silica gel protects these objects because I wasn’t sure what it does at first but now I do. I have been looking at ancient objects and we have been examining them. We have also been looking at detailed paintings in the Corinium Museum. There were lots of different objects such as: plough coulters, New Forest beakers, head of Minerva, etc. I look at the New Forest beaker. It is cracked and chipped because it is such an old object and it’s so ancient. The vase is a very fragile object and has been glued as it has been broken before. My favourite part of the visit was looking at the amazing paintings and how they were made and different ways of looking at them. I learnt a lot today about lots of different objects and paintings like how corrosion happens if you don’t keep the air trapped out. I’ve learnt how to take care of iron that is rusting and use silica gel in the bottom of the container to pull the moisture out of the container. This will stop it from corrosion. I looked closely at an Anglo-Saxon knife that was rusty and flaking away. The handle wasn’t on it and the wood particles were mixed into the iron particles we found out when we looked at it closer. My favourite part of the visit was looking really zoomed into the knife to see all the layers and flaky bits. We also saw very good detail close up. I learnt how to take care of old and injured knives that are flaky using silica gel. Today we looked at conservation and restoring paintings. It was fun to have a look at all the old things and draw them. I did a Bronze belt – the drawing turned out ok and there was lots of rust on it. I looked at an object that was bronze and rusty with a flower pattern on and an orange centre. It has a strong piece of metal at the bottom that is used to put on the belt. My favourite part was when we had a talk at the beginning all about conservation. 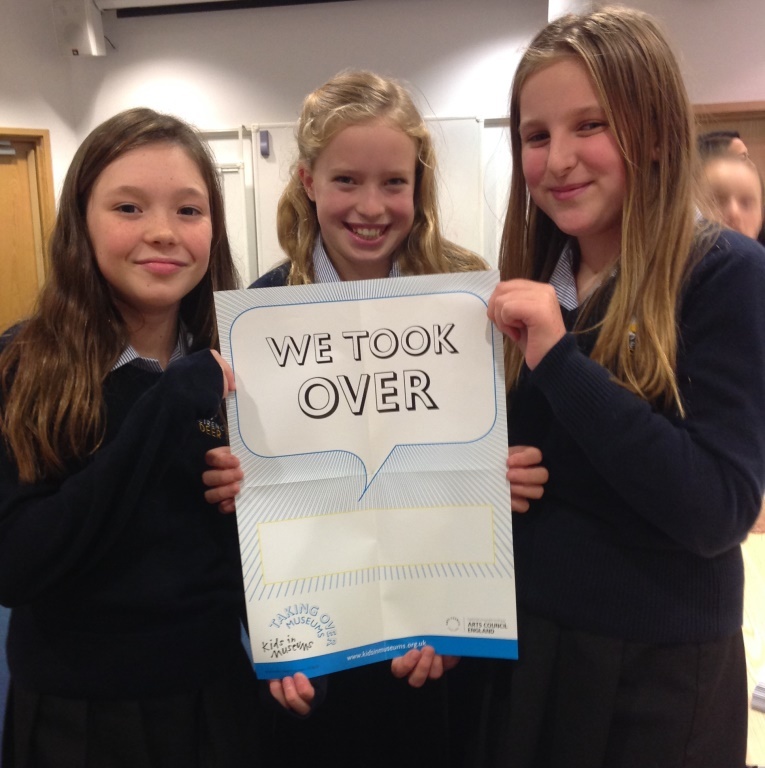 I liked because we learnt lots of information. I learnt that oxygen creates rust on an object. That the knife was created by the Anglo-Saxons and how people re-new paintings.